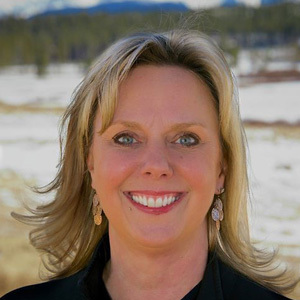 Heather Ehle is the Founder and CEO of Project Sanctuary headquartered in Granby, Colorado. Follow them on Facebook, Twitter, Instagram, LinkedIn and YouTube and learn more at projectsanctuary.us. We believe that everyone has the ability and the right to heal and that when one person serves, the whole family serves. Project Sanctuary takes a human-centered, solution-based approach in serving at-risk military families. Through long-term programming, focused on connectedness, we restore hope and empower families to find the healing they need to recover and thrive. Project Sanctuary is one of the only organizations with a military family and mental health focus. Our approach is simple. We listen, then we create evidence-based solutions to solve problems using a combination of coursework, counseling, and recreational activities designed to connect and empower families. Project Sanctuary’s program focuses on the entire family’s mental health and well-being first, creating and strengthening a core support network to help them navigate challenges and learn how to connect within their households and communities. Project Sanctuary is committed to leaving no family in crisis. We include an assessment component to help the 2,300+ families on our waiting list in addition to continuing to serve our 1,200+ graduate families. We triage and addresses imminent struggles until we can accommodate the family at one of our intake retreats. We walk alongside our veterans no matter where that path leads us. Whether a family is dealing with PTSD, financial struggles, or just learning how to connect with each other again, we are not afraid to get to the heart of the problem and find a solution that works. It’s all about connectedness. By restoring the connection between service members, their families, and their communities, we restore healing, restore hope, and – ultimately – restore purpose. The first step toward making families whole again is to restore their hope, help them find their purpose, and connect them with their communities. When you create strong relationships and a trusting environment where people know it’s safe to open up, it’s amazing how much you can accomplish. We rely on donations from individuals, corporate partners and foundations to provide the resources we need to reach more military families in crisis. We have more than 2,300 families on our waiting list, so every donation makes a huge difference. The magnitude of the suicide crisis among veterans is overwhelming. September 27th marked the 11th anniversary of Project Sanctuary. Being an RN and recognizing that our military families were not getting the support and services they needed and deserved, I founded a nonprofit to make a difference where I saw none being made. Often, I have felt like Project Sanctuary was alone on an island by focusing on the family and mental health, which was not a popular trend. What I can tell you now is that the suicide epidemic is worse than what is being reported. Veterans are going to funerals and mourning the loss of their battle buddies five and ten times a year. Spouses and caregivers are attempting to end their lives, their teens are attempting, and it may seem that there is little attention being paid or help being offered. Our warriors and their families have been the ones alone on an island, needing help and not getting it. Now we know there is hope. Our numbers and data prove that when our at-risk military families from all over the country are given the chance and the tools through our program to reconnect with themselves, then their families, then their communities… they thrive. They report feeling better able to cope, confident in gaining resiliency tools to handle life’s challenges, and have an improved sense of community. And their families, their biggest source of support, report the same. We cannot do this in just a six-day retreat, but we can do this by establishing hope and rebuilding relationships followed by two years of dedicated, human-centric case management. We meet each family at their level of need. Every veteran and every family is unique, and only a personalized approach to supporting these families will work. We know this because consistently when our families leave our retreats ready to progress to follow-up services, they score themselves 4.6 out of 5 when asked if they have gained tools for resiliency in handling challenges in life. We know this because in 11 years of supporting more than 4,800 military family members, only two have committed suicide. Ninety percent of our graduate military couples are still married, and all who wish to work are employed. After 11 years of standing on that island and screaming “What about mental health, what about the family? ?” we finally feel like there is hope. Project Sanctuary changes the way military families heal, by focusing on connectedness, mental health support and teaching the tools veterans and their families need to thrive. And now, we are not alone. Follow your passion wherever it leads you and don’t give up no matter how challenging that path seems. It’s easy to donate through our website, just visit our donations page. You can also help us with an online donation during Giving Tuesday or Colorado Gives Day.